The suo motu case against Imran Khan was heard after the ECP took notice of him publicly stamping the ballot paper in NA-53 Islamabad constituency, instead of going behind the voting screen to cast his vote in secrecy. 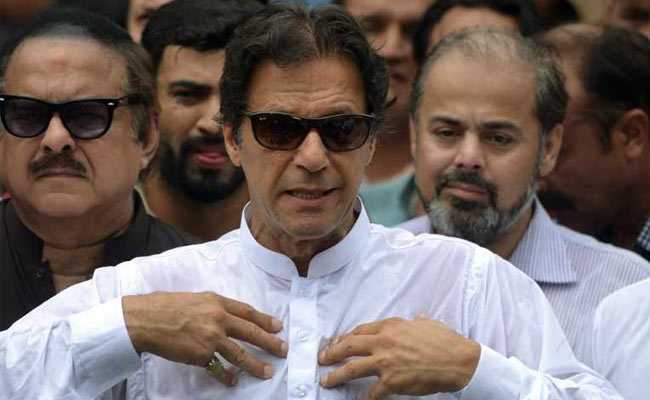 Pakistan Prime Minister-in-waiting Imran Khan today submitted a written apology and an affidavit to the election commission for violating the electoral code of conduct while casting his vote in the general election on July 25, media reports said. The ECP had sought a signed apology from Pakistan Tehreek-e-Insaf (PTI) Chairperson Imran Khan for violating the electoral code of conduct by casting his vote publicly instead of going behind the voting screen. The written reply and the affidavit were submitted by Imran Khan during the hearing held by a four-member bench headed by Chief Election Commissioner Sardar Muhammad Raza, the report said. He had sought an end to the case and requested the ECP to issue the notification for Imran Khan's victory from NA-53 Islamabad constituency. According to the reply by Imran Khan's counsel, photos of Imran Khan's ballot were taken without his permission and the curtain, used around the ballot for secrecy, had fallen due to the crowd inside the polling booth. Imran Khan won NA-53 seat by defeating former prime minister Shahid Khaqan Abbasi, bagging 92,891 votes in contrast to the Pakistan Muslim League-Nawaz leader's 44,314 votes. On July 30, the ECP had sought a written reply from Imran Khan, who has been nominated by the PTI as the next Prime Minister after the party emerged as the largest in the National Assembly in the election.